"Our Rocky is lost and we are lost without him." So sad. 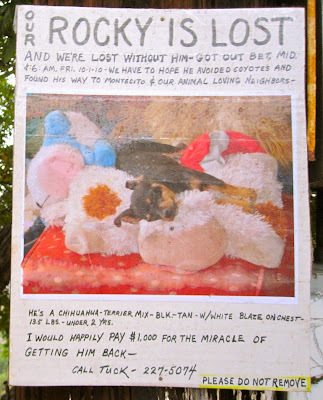 Hope lil' Rocky made it thru the coyote jungle and is found. :-( SO sad. I hope they found him.